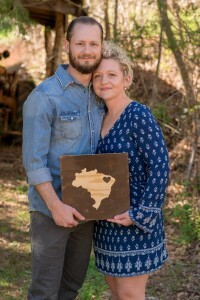 Pray for the Baynes to meet their required personal fund raising. Any amount that you provide will contribute to materials needed to teach the children and to share the Gospel. The Baynes are Action International missionaries. ACTION focuses on the physically and spiritually impoverished, enriching them with God’s great news. What a fit! 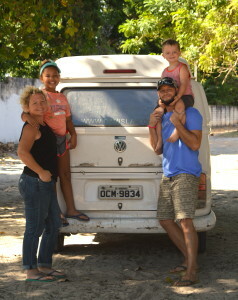 We at the Davis Lar focus on the abandoned and abused children of Brazil. Joining ACTION provides us with greater accountability, greater credibility, counsel, informational resources, and camaraderie. The Davis Lar provides homes for children who have suffered neglect, violence and abandonment. We seek to restore physical, intellectual, emotional, social and spiritual health. Through Christ centered care, international partnerships, and a team focused on building confidence, competence, character, and compassion, children are being prepared to discover their future and impact their community for Christ. Operation Phoenix, a ten week class, is intended to directly affect individual, relational (caregiver) and contextual resilience in institutionalized children providing a structure through which these children can succeed as adults. Lessons address anger management, decision-making, goal setting, cooperation, education, and many other areas that encourage healthy development. All lessons are backed by a Biblical foundation. © Copyright 2016 Davis Lar Children’s Home. All Rights reserved.